Are you a leader looking for MORE impact and alignment in this thing called life? ​This Experience Is For You! Success Leaves Clues... Why Not Use Them? ​A Shift in Your Environment... as surely your family is comfortable with where you are now. Will they be able to adjust with you or will they add to your stress, as you just can't take any more. Overwhelm and Fear... surely you've advanced before, but maybe not in this way. AND you may not have committed at this level to your dreams. What are you getting yourself into? Questioning Your Resources... as you just don't know if you have what it takes? From not being able to say "no" to not having enough money and time for anything else. And what about a power team to support you? Will your team be able to pivot as well? All of this can be happening... AND it doesn't have to stop you. Be Intentional And Give Yourself What YOU Need! 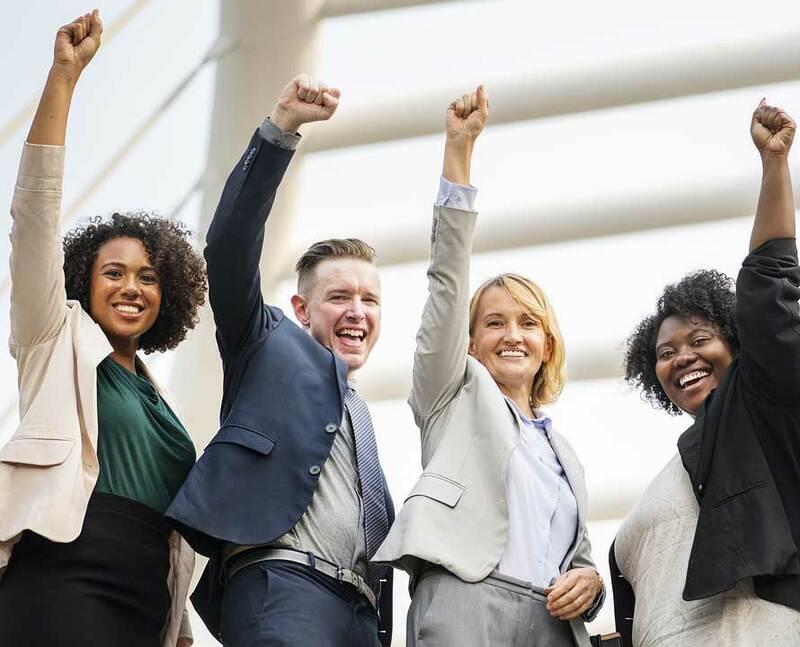 A Power Team for Success People often say it's not what you know but who you know. Well, it's a combination of both. We will help you identify the power players that you have and need for where you, and where you are going. Nurturing those relationships and ensuring an element of reciprocity will create partnerships that last a lifetime. Feedback That Shifts Feedback is worth it's weight in gold, even when it's telling a story that you don't want to hear. We will cover ho w to intentionally create formal and informal pathways for continuous growth which is required for leadership. Effective communication is just the beginning. Strategic Use of Your Skills & Resources One thing is for certain, you know A LOT. The question lies in if you know what you NEED to know to advance to your desired levels. Our gap analysis technique is rooted in you being able to see opportunities for you to shine, learn and grow. Intentional Use of Time, Talents & Treasures A strategic review of what is actually important to you. You will be surprised at just how much energy is exhausted doing things that will not take you to your desired destination. Let's release what no longer serves you and make room for the desires of your heart, which will yield much greater results! Although you will master these techniques, there is more that you need to succeed. Thankfully, this isn't just a one day affair. With your purchase to the LIVE event you will also be receiving support ALL month long via our proven #31DaysOfPower Challenge. As a part of the Level Up & Lead Experience, you will receive access to our proven #31DaysOfPower challenge. To get you in the habit of applying new strategies you will begin receiving daily emails of power strategies on October 25th, prior to your scheduled event. We also know that, membership has it's privileges and being in community is where the magic happens. So, once you purchase your ticket you will have immediate access to your Level Up and Lead private community (hosted on Facebook). We want you to be both prepared and supported. So, are you Team #DecisionMade or are you Team #KeepDoingTheSame?? Acknowledge that you are ready and let's get to work! BONUS access to your 31 Days of Power Challenge Today! FYI: Each location will have a live masterclass meetup from 9 AM - 12 PM. You can attend in person or via online access. Select the Option for a Location that Best Suits You Below. **Virtual Access - Wherever You Are! If ANY of these are true, this moment is for you. You are often times ending your day feeling overwhelmed and feel there just has to be MORE. You want to influence your team in a way that makes them BETTER, but you just don't know how. You know that there is greatness within you that the WORLD deserves, you just need to bring it out. You wish there was more time in a day. EVERY DAY! Sometimes you question if your voice is being heard. As a leader you are constantly devoting time to others and often times neglect your needs, and if you are honest you are starting to feel resentful. You want to bring your talents and gifts to your job in a way that showcases your awesomeness! You question if your work is aligned with your purpose. Sometimes you question your decisions. You desire a community that "gets you." You know that you deserve MORE. 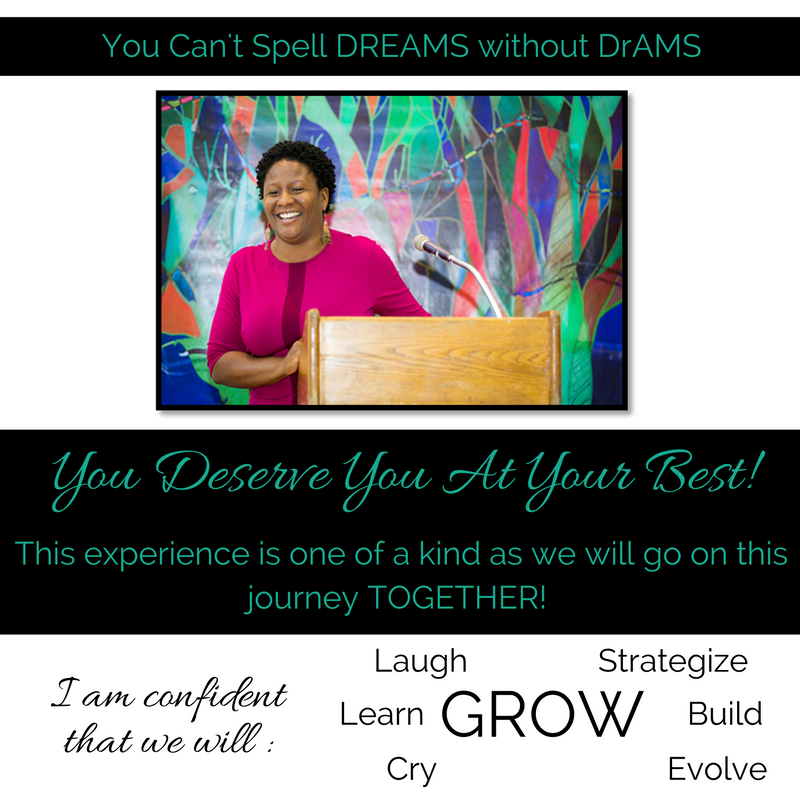 What This Experience Has In Store For YOU! The Level Up & Lead Tour including the #31DaysOfPower challenge is action packed with strategic activities to guide you as you tap into to another level of greatness that's already inside. How? See Below. You are able to access ALL materials from any device that has access to the internet. We attract leaders who are willing to do the hard work to impact themselves, their teams and the world. You will be setting and achieving goals one after the other. Don't believe me? Just Watch! On November 27, 2018 we will be having a LIVE celebration call to hear about the awesome journey you've completed. Tailored strategies for you to get to know you in a unique way that you've never experienced. You can't afford NOT to enter this challenge! 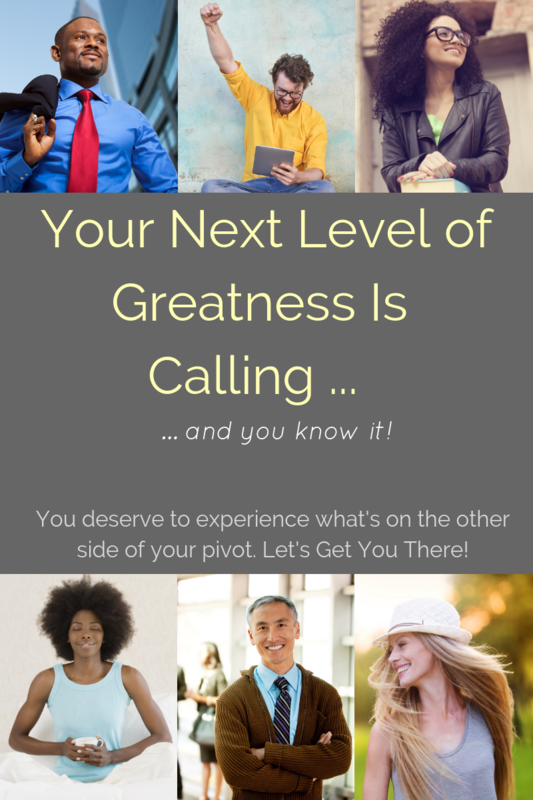 Get instant access to your Level Up & Lead Experience now! If you know it's time to stop procrastinating so you can go after your BIG dream, and you're ready to do the work, then this experience is what you need! Are You Ready? I AM GRATEFUL. I do not take it lightly that you are choosing to be on this journey with me. You are coming with a lot of hope and I treasure this opportunity. I AM PREPARED. Please know that you are not only in willing hands, but you are in capable hands. This has been my life work in many capacities as I have served as a counselor, researcher and professor. I AM EXCITED. Although we will do some heavy lifting to remove the barriers that have been holding you back, there will be FUN. I don't do anything that doesn't allow me to experience joy. I BELIEVE IN CHANGE. I am beyond optimistic, I am aware that you are more than capable to do this work. With that in mind my style is unique and failure is NOT an option. I BELIEVE IN MAGIC. If you are willing to show up and not only follow the process but trust it as well then you are surely able to experience the impossible. It may sound far fetched but impossible simply means, I'M POSSIBLE. Do You Have Enough Power to Pivot? You're one click away from upleveling your Life, Leadership and Impact. As part of the Level Up & Lead Experience you will also receive the highly successful #31DaysOfPower challenge. It's a daily dose of magic and strategy sent to your email every day, and a community to support you on this journey. To help you prepare, you will receive a welcome email to get you started. Thereafter all you have to do is sit tight as the #31DaysOfPower Challenge will start on October 25, 2018 and your Level Up and Lead masterclass will be on the date that you choose. There is a group of High Power Leaders waiting on you to join. Mastery Loves Company! Join and be supported today! Just in case you have more questions, let's get right to it. What If I Don't Have The Time Right Now? What Is Included In The Level Up & Lead Experience? You will receive: Access to Live Event covering the MADE model Tapping Into Your Leadership Greatness eBook, access to online private community and daily email reminders. You can also experience the greatest gift, CHANGE. Do I Have to Have Facebook in Order to Participate? Are These the Strategies from DrAMS' Upcoming Book? Yes! You will get first access to the Power Strategies featured in DrAMS' upcoming book Tapping Into Your Leadership Greatness: 31 Power Strategies to Remove the Barriers and Thrive. A electronic copy is provided as a gift to you. If you would like to purchase a hard copy, a pre-sale of the book is currently available at www.BeLeadGrow.com/book. Once published (before the end of the year) the hard copy will be coming to your door ASAP! 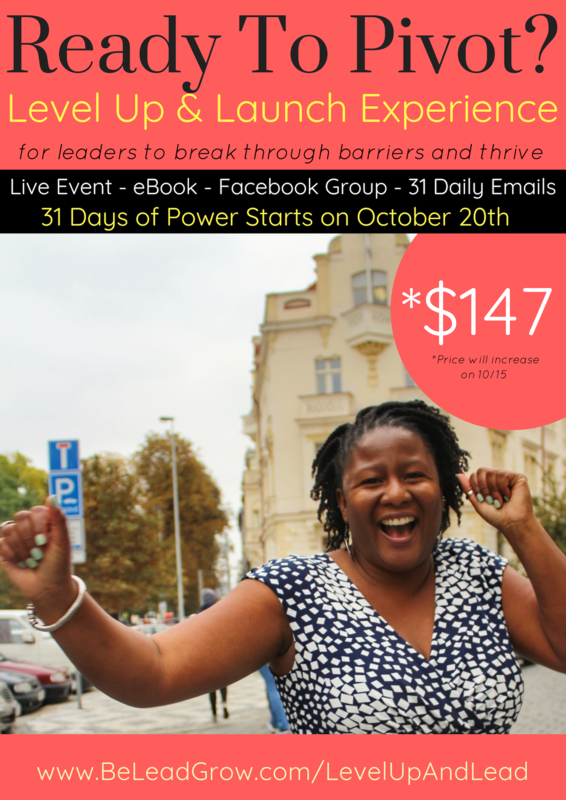 The Level Up & Lead Tour including your 31 Days of Power support is currently $147 and it will be increasing to $197 on October 20, so be sure to join TODAY! Is This A Face to Face Event? YES! We are crazy excited and looking forward to seeing your face. If you don't see your city listed, you can also purchase virtual access to the event as we will be hosting those online during the session as well. Your virtual ticket will give you access to (1) live event. Are there Any Coaching Calls Included In this Program? No, however we will have a LIVE celebration call on November 27, 2018 at 7 PM EST, which will include laser coaching. We will also have an opportunity for you to join the upcoming 90 Days to Power Mastermind beginning in December. Am I able to expense this through my job? If you would like to include additional cost of individual coaching please note that in your comments as well. Get instant access to our Level Up & Lead Experience now! If you have made it this far down the page, I don't know what you are waiting for? JOIN US NOW as the challenge has launched but you can still join today.